Understanding the cost of your rehab will help you arrive at a reasonable maximum allowable offer instead of paying too much. 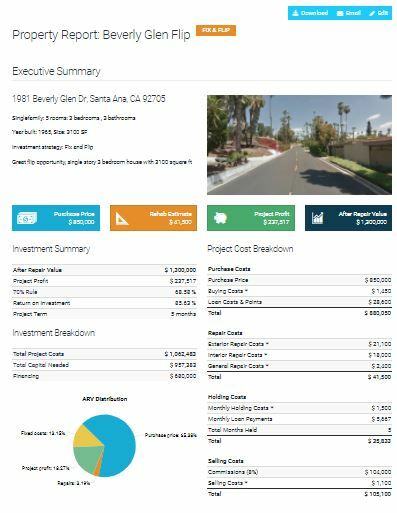 Understanding the cost of your rehab will allow you to accurately present data to your buyer in a way that is easy to comprehend. 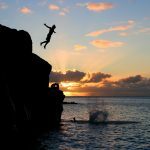 So, how do you estimate the cost of your rehab? Before calculating the cost to rehab a property, you must understand the end product. Some high-end remodels typically take months. Some take just days. Knowing the kind of finishing your buyer wants is imperative. Looking at the neighborhood will give you a clear idea of how the rehab should go. 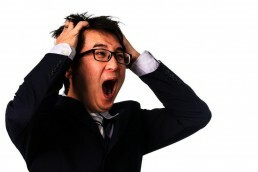 Most investors typically don’t want go beyond the level of the other properties in that area. Thus, if the property is situated in a working class area with mainly working class rentals, you will not have to spend too much funds on the rehab. Slowly walk through the property during the inspection. Take photos or record videos with your mobile device (because this allows to recall the condition of the property). The photos will also help you make the sale of the property to the buyer easier. If the seller is at home, tell them you will be taking photos. Make sure they don’t feel you are invading their privacy. During your inspection of the property, go from room to room. Write down the condition of each space and indicate if there are any repairs needed. Write down an estimate of the affected room size. Make sure you look at the home’s exterior as well and indicate if there are any serious issues, like the state of the roof, and siding or any outbuildings. 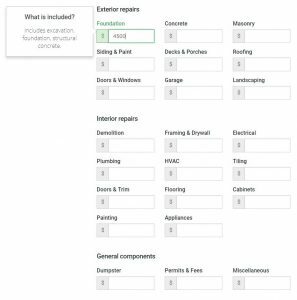 If you are using our Zilculator: Fix and Flip analysis you can find helpful tooltips in the new property form. 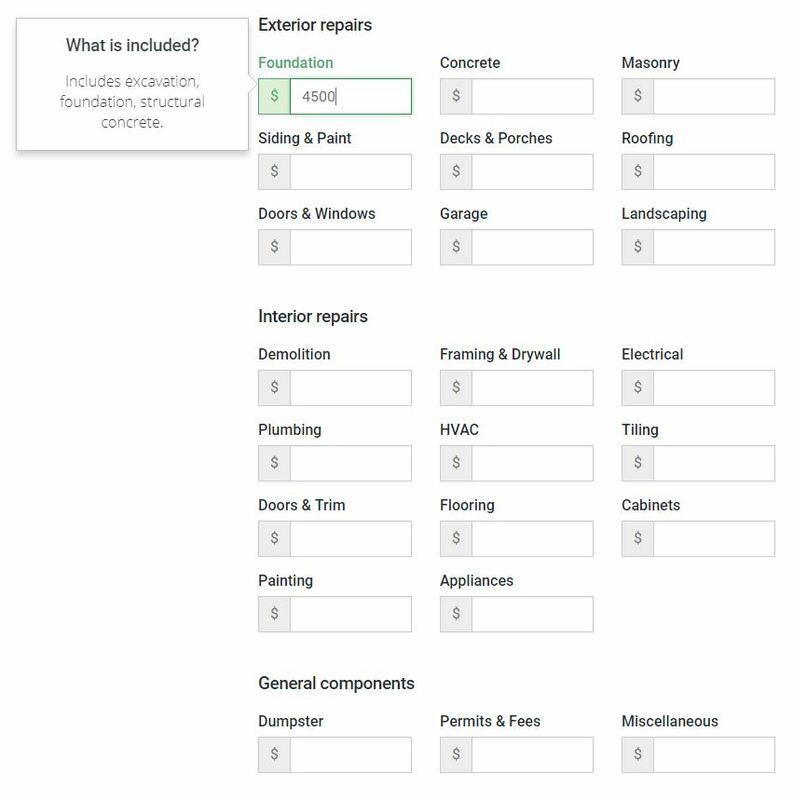 If you are missing some category specific to your property, you can add more categories by clicking the button + Other cost. Once your 23 categories are spelled out, estimate the rehab cost for each class. Once everything has been condensed into these categories, getting an accurate estimate becomes much easier. If you determine that you will need 1,000 square feet carpet and 500 feet of vinyl, use this information to call on a flooring store to get a fee. 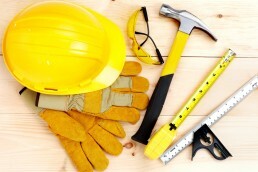 Find out the cost of materials for the repairs, like paint, cabinets, flooring, counters, and appliances. Of course some categories will stay empty in certain rehab projects, but this list helps you not to forget something major in your analysis. See the zilculator fix and flip sample (click on the image below) and try Zilculator today! The first two properties are free!